The embattled Darjeeling tea industry will close 2017 with one of its lowest outputs, estimated at about three million kg as against the average annual crop of about 8.5 million kg over the last few years. The previous low of about 7 million kg in 2011 was attributed to climate change. Production will not recommence before March, when the new leaves come out on the bushes which had to be pruned following the huge overgrowth during the closure. Consequently, first flush production which yields the priciest teas of this Himalayan bush may be delayed, industry sources said. Climate change and ageing tea bushes ( average age of which is 70 years) has impacted the Darjeeling tea industry which is also facing competition from the other teas grown on a neighbouring Himalayan valley. Production of this premium tea was halted between June and September 2017 on account of the three-and-a-half month long closure clamped on the hill station by the Gorkha Janmukti Morcha which has been demanding a separate state. “Garden owners are now preparing for the first flush,” Darjeeling Tea Association secretary general Kaushik Basu said. Overcoming initial problems over labour mobilisation after the resumption of operations in the gardens in October, 2017, shearing the overgrowths in the gardens and deweeding, all took substantial time. 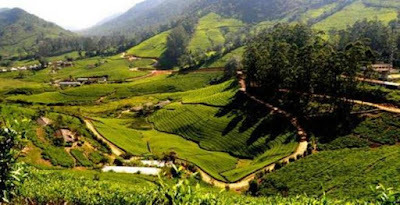 Normalcy returned to the tea estates quite some time after, as many workers had gone underground fearing prosecution for participating in the movement. There are 87 tea estates in Darjeeling spread over 17,800 hectares. Darjeeling tea supplies have been vastly restricted at the auctions. In the immediate aftermath of the strike, there were nil offerings. The situation improved subsequently as garden managements succeeded in retrieving teas that were lying in the estate warehouses. J. Kalyanasundaram, secretary of the Calcutta Tea Traders Association said that altogether 16,455 kg of Darjeeling tea was offered, fetching an average price of ₹297 per kg at the year’s last auction this week. Offerings around this time average about 80,000 kg. Sources said the industry had suffered a ₹500 crore loss by value and a 70% crop loss due to the prolonged closure, which coincided with the second flush crop season (June-August). Accounting for 70 % of the Darjeeling tea output, this crop also brings good value to the industry besides volume. “There is a very good market for these teas which have more body than the finer first flush teas,” a Darjeeling planter said. The Tea Board has sought special support from the Centre to aid revival through grants and soft loans. Sources also said the first flush crop (scheduled from February) may be delayed as the onset of winter was preventing the growth of new leaves after pruning of overgrown bushes.